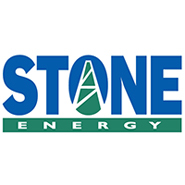 The past 30 days have been big ones for Stone Energy Corporation (NYSE:SGY) stock holders, as SGY stock has more than quadrupled since June 13. And 20% of that has come in today’s session alone. But incredibly, even after this liftoff, Stone Energy is still off 50% for the year. That’s because SGY is involved in exploration and production of oil, and things got so bad that even 2016’s rebound in energy hasn’t been enough to completely lift Stone from the doldrums. Stone Energy diverged from the upward trend in oil prices this year, in fact, with SGY stock continuing to move lower — that is, until it made an interest payment and issued a reverse stock split last month. Sadly, Stone Energy is likely just enjoying a dead-cat bounce — albeit one of the biggest bounces of the year. In mid-June, Stone Energy made a similar move of 20% after making payments to its lenders to meet its financial requirements, buying itself some time from bankruptcy. At the same time, SGY stock underwent a 1-for-10 reverse stock split to meet New York Stock Exchange listing requirements. It’s typical for beleaguered stocks to undergo reverse stock splits, as these sort of “stock merges” keep a company from penny stock territory until the company can find organic ways to add value back into the company. At least as far as market cap is concerned, SGY did add value — before the reverse split, its market capitalization of $30 million wasn’t enough to meet NYSE listing requirements. But its meteoric rise has brought it to a safe space of $140 million. One driver for SGY was a bit of contract action at the end of June. Stone Energy terminated its deepwater rigs contract with Ensco PLC (NYSE:ESV), then entered a new agreement with Williams Companies Inc (NYSE:WMB), allowing Stone Energy to pick up production in the Mary field in Appalachia. Still, Stone Energy has problems that make the 300% returns seem doomed to come back to earth. SGY stock has now far outstripped analysts’ expectations, with current share prices at $22 — about 170% higher than the average price target of $8.16. This for a company that has been bleeding red ink for a couple of years now, including a full year loss of about $1.1 billion in 2015. Meanwhile, SGY continues to be cash-flow negative, and while the company did borrow $385 million so it had some cash to work with, that stands against some $1.5 billion in total debt. Why Pivotal Research Is Wrong About Yahoo! Inc.
A lot of this run seems predicated on the fact that SGY stock was simply battered to death to levels that implied bankruptcy — which the company itself said was a possibility back in May. But by keeping the lights on and continuing to pay bills, investors have driven Stone Energy up as a potential rebound play. While that might be the case, the optimism in SGY stock has been completely unbridled. Expect reality to set in until Stone Energy can provide more concrete evidence that the company is actually turning around, rather than just playing stall ball. Article printed from InvestorPlace Media, https://investorplace.com/2016/07/stone-energy-corporation-sgy-stock/.